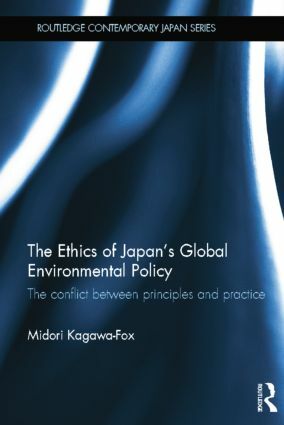 This book examines the Japanese government policies that impact on the environment in order to determine whether they incorporate a sufficient ethical substance. Through the three case studies on whaling, nuclear energy, and forestry, the author explores how Western philosophers combined their theories to develop a ‘Western environmental ethics code’ and reveals the existence of a unique ‘Japanese environmental ethics code’ built on Japan’s cultural traditions, religious practices, and empirical experiences. Kagawa-Fox’s discussions show that in spite of the positive contributions that Japan has made towards the global environment, the government has failed to show a corresponding moral obligation to the world ecology in its environmental policy. The book argues that this is a result of the integrity of the policies having been compromised by vested interests and that Japanese business and politics ensure that the policies are primarily focused on maintaining sustainable economic growth. Whilst Japan's global environmental initiatives are the key to its economic survival in the 21st century, and these initiatives may achieve their aims, they do however fail the Japanese code of environmental ethics. Midori Kagawa-Fox is a lecturer at the School of Social Sciences in the University of Adelaide, Australia.